105 Mildmay Grove North, Islington, N1 4PL is a 4 storey mid terraced Georgian townhouse situated in the Newington Green Conservation Area of Islington London N1. The property currently totals 1,331 sf (123.61m2). 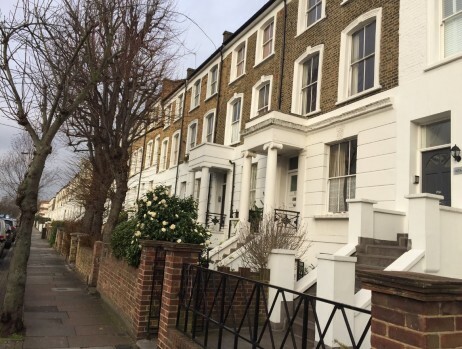 Mildmay Grove North is located in one of the most desirable London Boroughs, Islington N1. It is close to the bustling and fashionable areas of Dalston, Stoke Newington, Newington Green and Upper Street - with their mix of elite shops, boutique stores, bars, cafes & restaurants, as well as theatres and a vibrant nightlife. It also has fast and easy access to the City and its historic landmarks, as well as the famous West End with its acclaimed Theatre Land and Oxford Street & Bond Street - one of the world's most popular shopping destinations. Excellent transport links are nearby with Dalston Junction and Dalston Kingsland being a few minutes walk away. The stations of Canonbury and Essex Road are also within easy reach. Highbury and Islington station, with access to the Victoria line, is 5 minutes from Dalston Junction or a 20 minute walk away. The City is 15 minutes from Dalston Junction. Kings Cross and St Pancras, with its international Eurostar terminal, is 13 minutes from Dalston Junction. In addition, numerous bus routes are nearby providing direct access to Liverpool Street, the City and the West End. Its prime location also provides motorists with quick and easy access to the A1 road-links out of London. 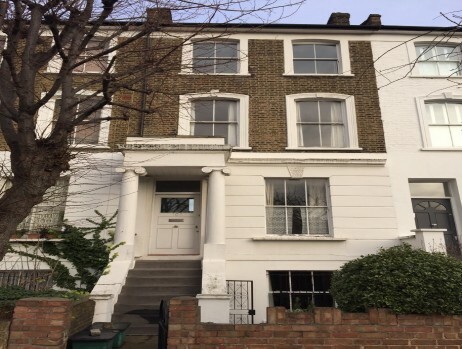 • The lower ground and upper ground maisonette will be a three bedroom, 2 bathroom maisonette with a large open plan kitchen and living area that opens onto the garden, which this apartment will have the sole use of. This maisonette will be approximately 1,124 sf. • The first, second floor and attic maisonette will also be a three bedroom, two bathroom maisonette, with a separate kitchen and living room. This apartment will have an outside terrace accessed off the first floor, and it will total approximately 1,188 sf. Ross has exchanged contracts on the purchase of the property and will complete the purchase on 23rd March 2016. He is purchasing the property for £1,200,000 and this has been verified by a recent RICS valuation who values the property at £1,300,000. CrowdProperty have agreed to lend him £900,000. The length of the loan is a minimum of 6 months and a maximum of 11 months. The Borrower may return to CrowdProperty to request a phase 2 raise of £150,000 once the planning application is determined. This will fund the conversion works. 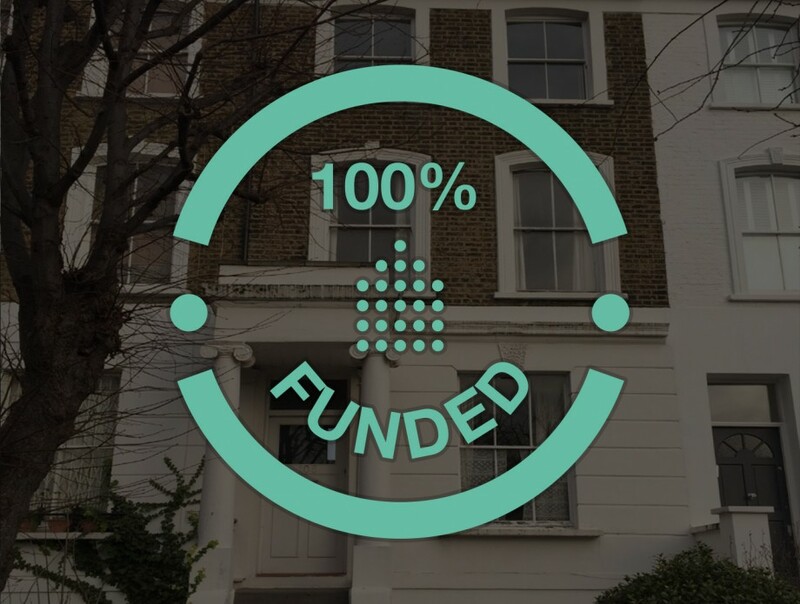 The phase 2 funds will be released in stages throughout the build period based on sign off by CrowdProperty’s Monitoring Surveyor. There will be further costs borne by the borrower made up of finance costs of £127,500 and £156,050 of consultant and selling fees, insurance, acquisition cost and contingencies. Total estimated costs will be £1,633,550. The sum of the phase 1 and phase 2 loans will be £1,050,000 secured with 1st charge on the property. Once the conversion works have been completed the properties will have an estimated GDV of £2,050,000 as verified by a recent RICS valuation. 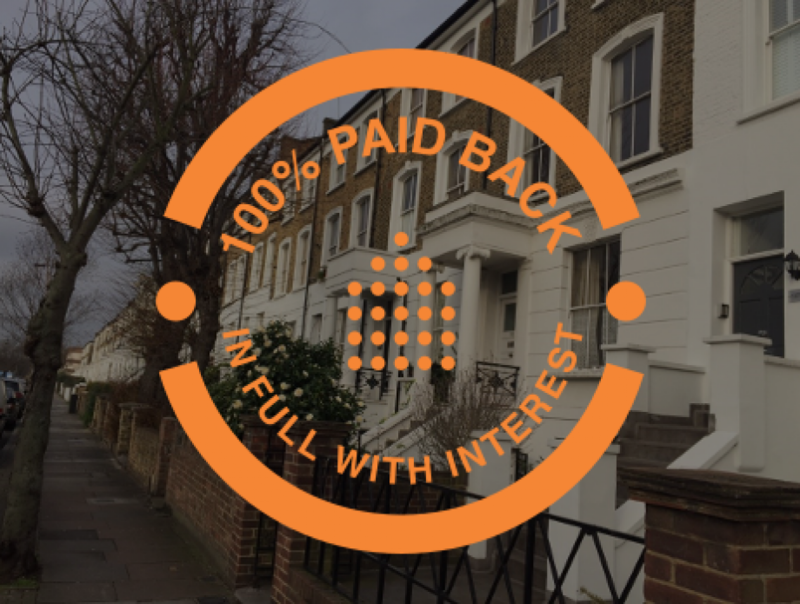 The estimated out turn profit before tax is forecast at £416,450 representing a 25.5% profit on all costs with a CrowdProperty interest cover of 3.14. This project has a good profit margin especially as it is a London property. We also particularly like this project because the borrower is going to be purchasing this property £100k below the current market value in the very competitive London Market. This means that if for any reason the planning permission to convert into two flats in not granted, then the borrower will be able to flip the property on, to repay the loan plus all the interest and still make a small profit. We see very little downside to this project which is why we have given it the CrowdProperty stamp of approval.